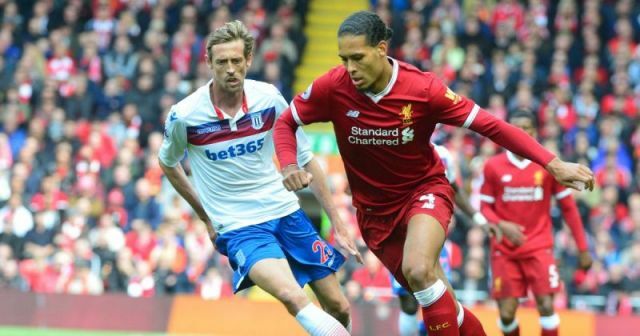 Peter Crouch has paid Virgil van Dijk an enormous compliment. The former Liverpool striker has compared our Dutch giant to Ledley King, an ex-team-mate of his – and suggesting his performance v Wolves was jaw-dropping. This season, Liverpool have conceded just seven goals in 19 Premier League games, largely thanks to van Dijk’s wonderful leadership at the back. It’s resulted in Jurgen Klopp’s Reds leading the title race by six points going into today’s game v Arsenal at Anfield. “I played against Van Dijk when he was at Southampton,” Crouch wrote in Mail Online. “I knew he was good but I didn’t have him in the category of Tony Adams, Sol Campbell or Martin Keown, the central defenders who you knew would leave you battered and bruised. “If anything, he reminded me of Ledley King. “Ledley never left himself in a position where he needed to make slide tackles, he just had a way of getting in front of you to take the ball. Ledley, really, never got the recognition of just how good he was. “I watched Van Dijk last week when Liverpool beat Wolves and he did something that made me think ‘Oh, my God!’,” he continued. “It was when Adama Traore looked like he was going to open up on the touchline, having dragged Van Dijk out of position. “Usually, a fast striker would leave you for dead but Van Dijk’s reaction was extraordinary. In our opinion, and almost every other Liverpool fans’, van Dijk is currently the world’s best central defender. This term, only Kalidou Kouliably of Napoli has come close to replicating van Dijk’s performances. The likes of Sergio Ramos and Rapha Varane are recognised as world-class for their Champions League victories, but going on a game by game basis and not on trophies, they’re nowhere near our 27-year-old right now. Crouch is still at Stoke, but has only one goal in the Championship this season. Aged 37, he probably hasn’t got long left at the highest level, but he’s enjoyed a terrific career.